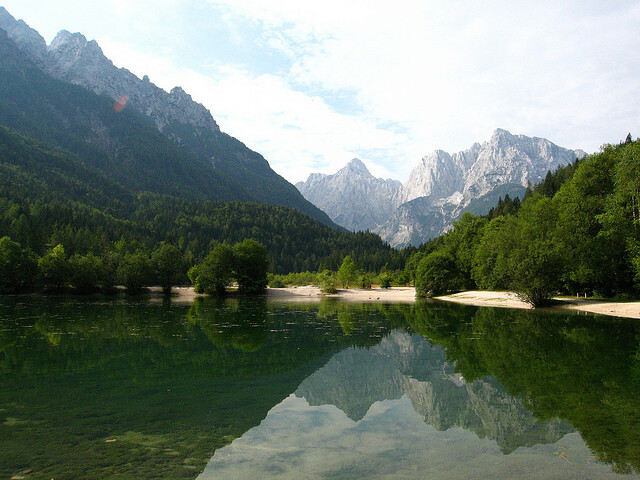 Slovenia's highest peak dominates this relatively undiscovered area of outstanding natural beauty and spectacular views, with lush green valleys, stunning blue lakes and dramatic limestone peaks. 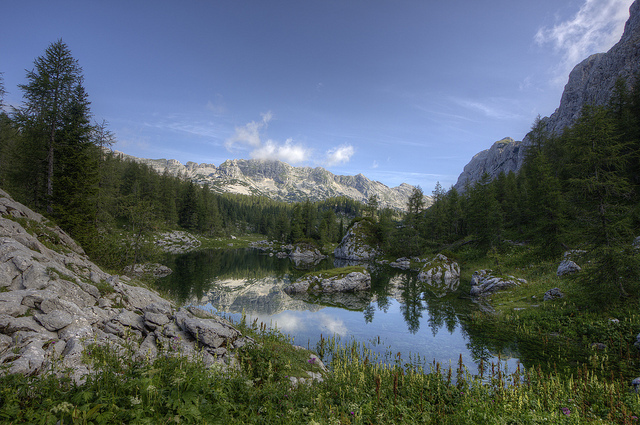 The relatively undiscovered Julian Alps (think Dolomites without the crowds) offer superb walking, with outstanding natural beauty and spectacular views. This is glaciated limestone country, so think ridiculously sheer cliffs, spires and gorges, harsh bare rock and long scree slopes, high meadows and waterfalls and lakes mixing it with disappearing rivers. The Jalps' extensive and gorgeous forests are a glory, and the range shelters wildlife ranging from ibex to eagles, marmots to chamois. 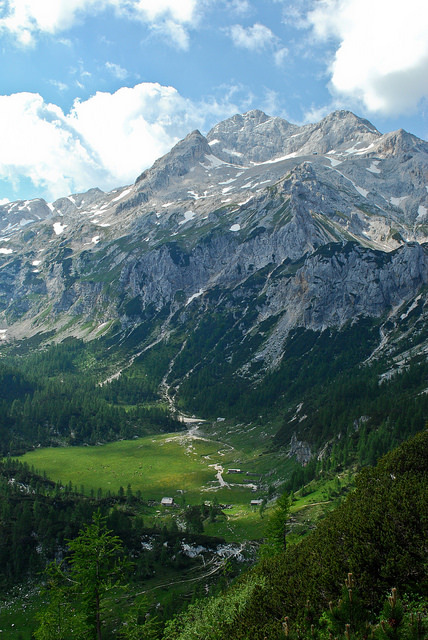 See more on the Julian Alps. 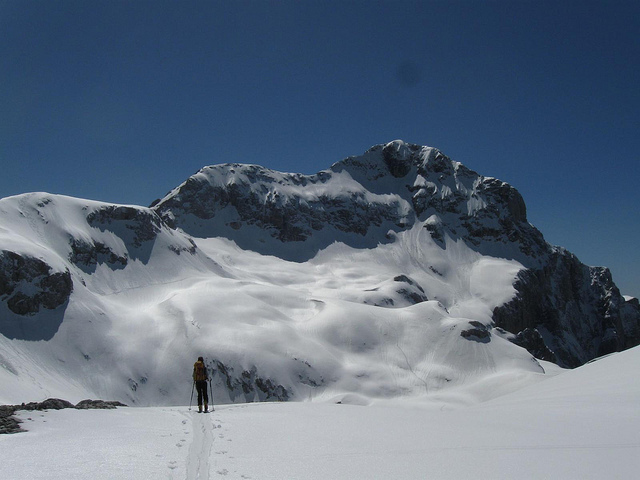 The highest and best known peak is Mount Triglav, at 2,864m not Himalayan-huge but nonetheless immensely striking (and with immense views) and a two-day effort to climb. And compulsory for all Slovenes to climb in their lifetime, which can make for a crowded summit approach. 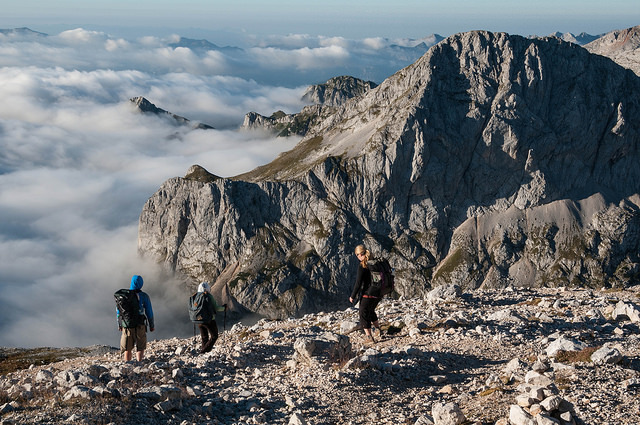 This ultimate Slovenian peak can be approached many ways, from the north as well as the southerly Bohinj area. Whichever way, they involve very exposed stretches (down to a 1/2 m wide knife edge, with huge drops - but cable assisted) - so it is not for those with problems with heights. Take extreme care in bad weather. 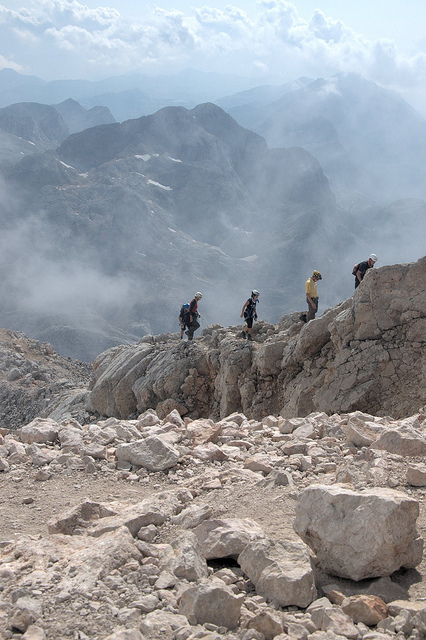 Two 2 day hikes get you to the summit: both stunning but challenging routes, long and demanding and involving exposed sections: both would require a strong head for heights and stable weather - and overnights in refuges/huts. The Tominskova Pot is said to be the (relatively) easier, but involves exposed ledges and paths and quite a few cable-assisted stretches and crossing the top of what the usually phlegmatic Cicerone calls an "unpleasant steep scree gully". The Plemenice Route (also called Bamberg Route) is tougher and longer walking, with a lot of teetering, some of it on the narrow high ridge above the enormous north face - although generally well assisted with cables etc where necessary. Beautiful Lake Bohinj, Slovenia's largest, sits in a superb glacial gouge, beneath huge cliffs at its western end, and is an excellent walking base, with fine walks in every direction. 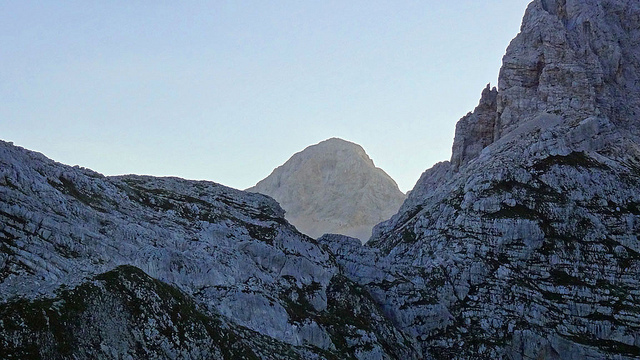 You can ascend Triglav on what is thought to be the easiest (ie least taxing - it isn't easy!) route. This is a 2-long-day walk with a night at the Dom Planika. Both days are more than 7 hours walking in tough terrain, the first a lovely approach up the Voje Valley and then a climb to the Dom, with the views becoming increasingly thrilling the higher you get. Day 2 is a spectacular, if in places exposed (but well cabled) climb to the summit in about 1.5 hours, then a retracing of steps back to the Bohinj lakeside (or with a pickup from a roadhead if you are lucky). 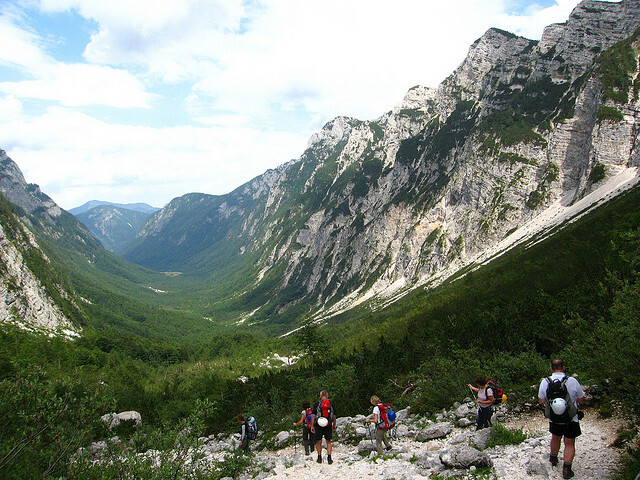 Walkopedia would, however, recommend making Triglav the high point a 3+ day walk - see our Julian Alps page for more information. The summit should not be attempted in snowy or icy conditions unless you are very experienced and properly equipped. 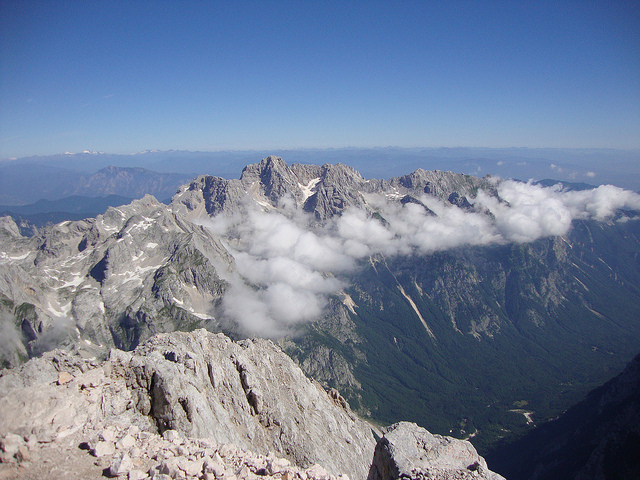 SEE OUR JULIAN ALPS PAGE FOR FURTHER GENERAL AND PRACTICAL INFORMATION.